Or have you ever heard more seasoned colorists talk to clients about the features and benefits of a certain types of haircolor service and wish that you could remember their words? Hi, my name is David Velasco, and I know exactly what you’re going through. I too have felt the sickening, embarrassing feeling that comes with a loss for words when a client is staring at you in the reflection of the mirror waiting for your answer. Or not knowing how to relate in words what it is that you think a client should do with her haircolor. First of all, I want to say, “Stop Beating Yourself Up” about feeling inadequate when it comes to your client consultation skills. You see, it’s not your fault! Why weren’t you trained in this skill at beauty school? Simple, no one, even at the beauty school level has taken the time to put into writing exactly what you are to think, do, and say during a haircolor consultation (at least until now). Were you ever taught in beauty school how to give a haircolor-centered client consultation? Have you ever attended an advanced class given by any of the major haircolor manufacturers on how to give a haircolor-centered Client Consultation? Have any of the senior colorists at your salon ever taking you aside and explained to you exactly, word-for-word, what to say in every haircolor consultation situation. Well, the truth of the matter is that no one really cares if you ever understand how to give a complete and thorough haircolor-centered Client Consultation. Because I have dissected every aspect of a thorough and complete haircolor-centered client consultation, and now I am offering this collection of wisdom and knowledge to you. 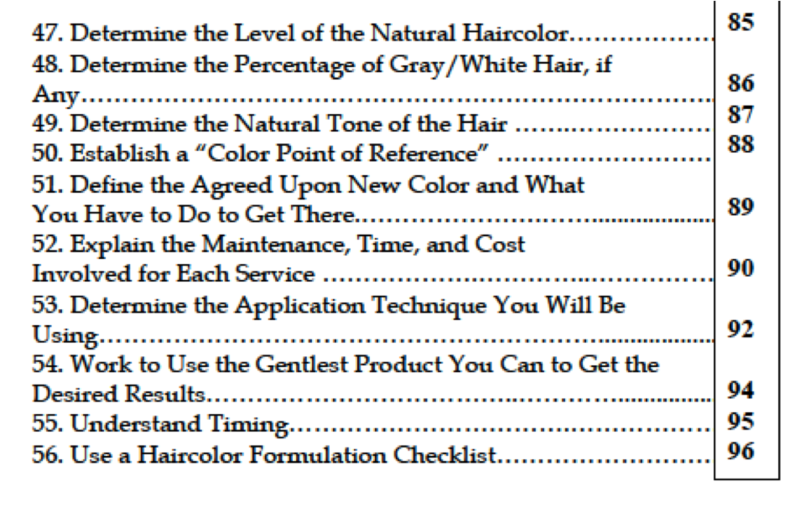 Yes, for the very first time ever a book has been written for hairdressers of all ages and experience on exactly how to give a haircolor-centered client consultation. You see, to most hairdressers a client consultation is a simple conversation to find out what a client wants to do with her hair. What a waste of precious, valuable selling time! 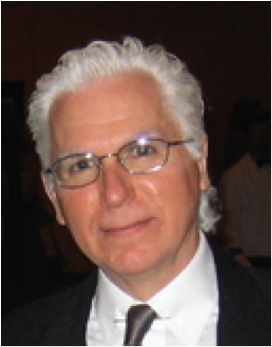 Because after 40 years of working in this industry and training thousands of hairdressers on both haircoloring and haircutting, I find that the most difficult skill for them to master is not the technical aspects of this business (haircoloring and cutting). Instead, the biggest challenge is communicating with their clients. The Communication skills with the clients are where the hairdressers fall short. 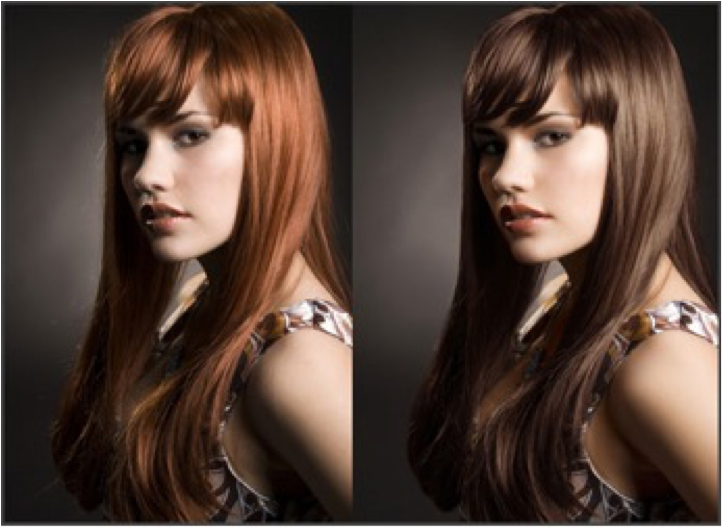 Most hairdressers think that a client consultation is limited to finding out what the client wants to do with her hair. In my opinion, it is a very small portion of what constitutes a client consultation. 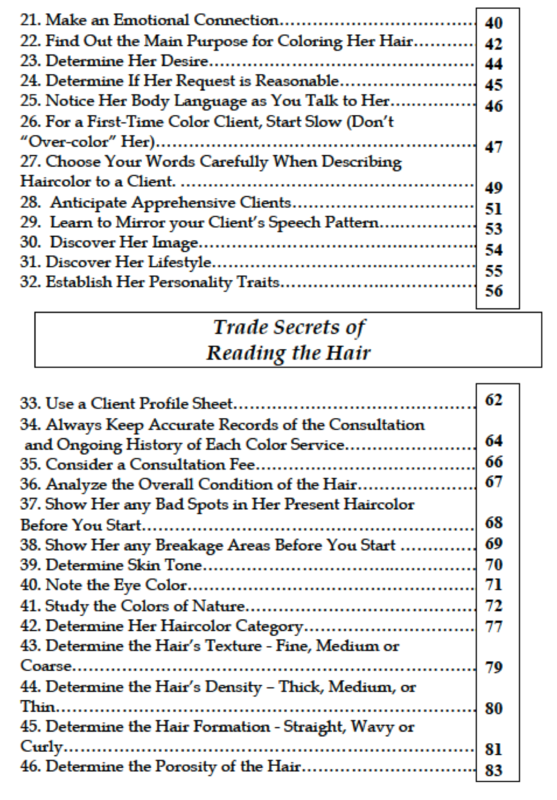 In this 2-Volume Book Set you will discover how to use the client consultation, not only to find out what you will be doing with your client’s hair, but also as a very finely tuned client analysis that will give you the basis to establish a large and loyal clientele. 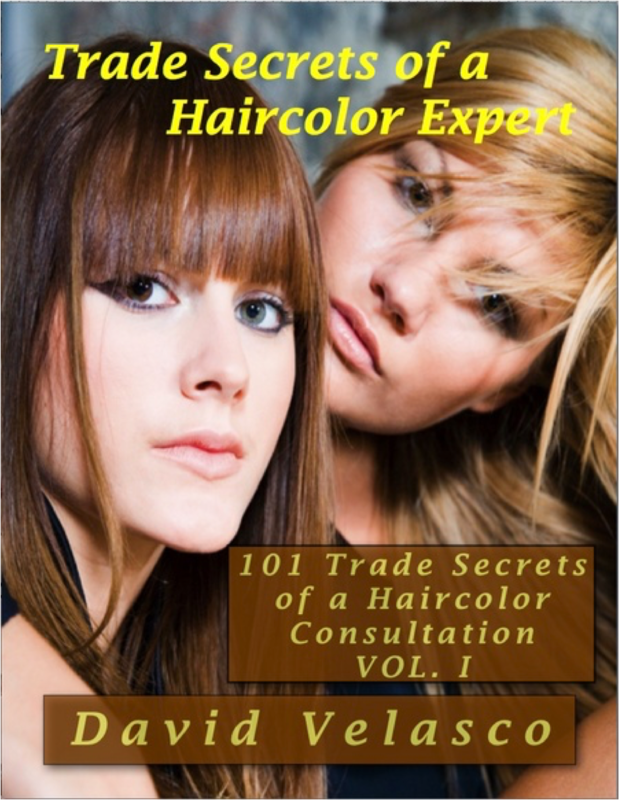 • Learn to make more money than you ever thought possible as a haircolorist. 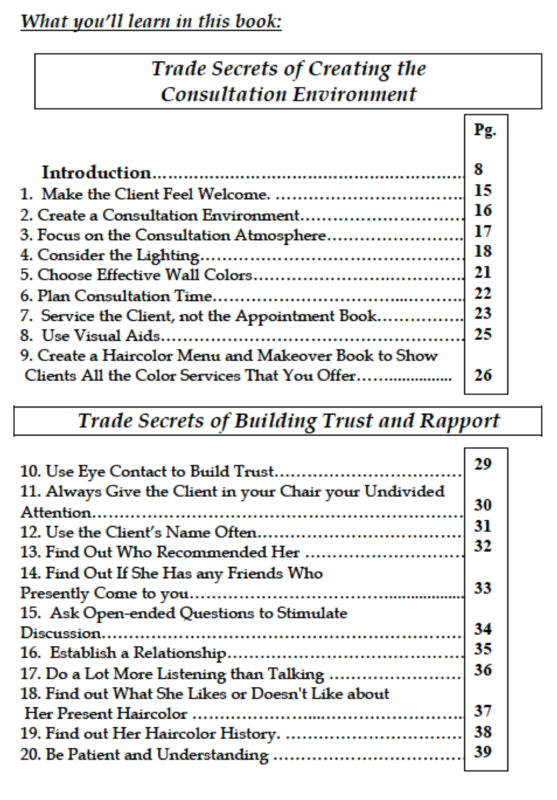 In addition, you will learn to create an emotional bond with your client – built on trust and friendship that will develop into a long-term relationship with each and every client. You see, believe it or not, communication skills are in some ways more important to learn in this business then how to do the latest haircuts or “wacky” foiling technique. I have seen time and time again where the so-called “hotshot hairdressers” who can do the latest cutting and coloring techniques not be able to build a large and loyal clientèle’s. They were so wrapped up in themselves and their technical skills that they forgot about the client and never bothered to learn how to communicate with her or him properly. By the same token, I have seen very average, mediocre hair designers, who have outstanding communication skills and great personalities, build tremendous followings that stayed with them for years and years. 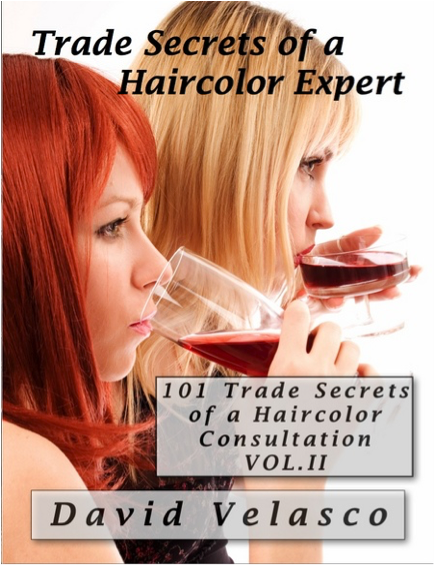 In this collection you will learn 101 Trade Secrets of a Haircolor Consultation. Each one is a strategy or technique in its own right that will help you become a master communicator. 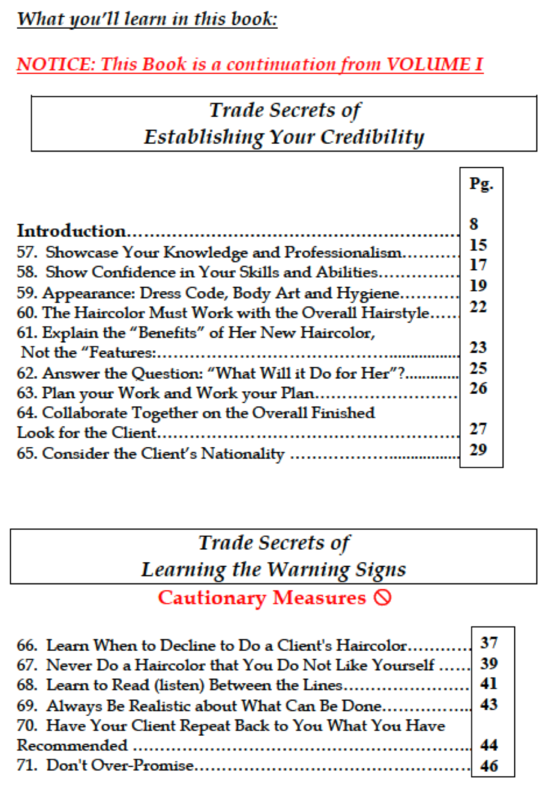 But also this book is much, much more… it is a virtual blueprint for your success in the hairdressing business, as you will see as you read through the pages. Some of the strategies are only one sentence long and others are a several pages long, but all are relevant and important to a successful consultation and career. Just how important is it for you to become a master communicator? Master communicators are amongst the highest paid people on the planet. But I am not suggesting that your goal is to become a celebrity to the world, but rather you need to become a celebrity only to your own clientele. Wallflowers rarely succeed in the hairdressing business and boastful people are never liked. But a master communicator, one who listens intently and speaks appropriately at the right time with the right words, is always held in high esteem and respect. If you study, and memorize the techniques and strategies that I will be sharing with you, soon you will reach a point in your career where you will find yourself amongst the best (and the highest-paid) colorists on the planet too. Would you like to learn the consultation skills necessary to put you at the top of your game? In this book set I have dissected the consultation experience into seven easy to read and digestible sections. Each section deals with a particular aspect of how, where and why a consultation is given. Not only that, I have also shared with you my secret strategies for getting rid of intolerable clients, winning over timid, shy clients and, of course, my very special “Secret Blueprint for Success”. This will literally give you a road-map for growing a very large and loyal clientele that will guarantee money in the bank and a future on which you can build. WOW, is that some lists or what? 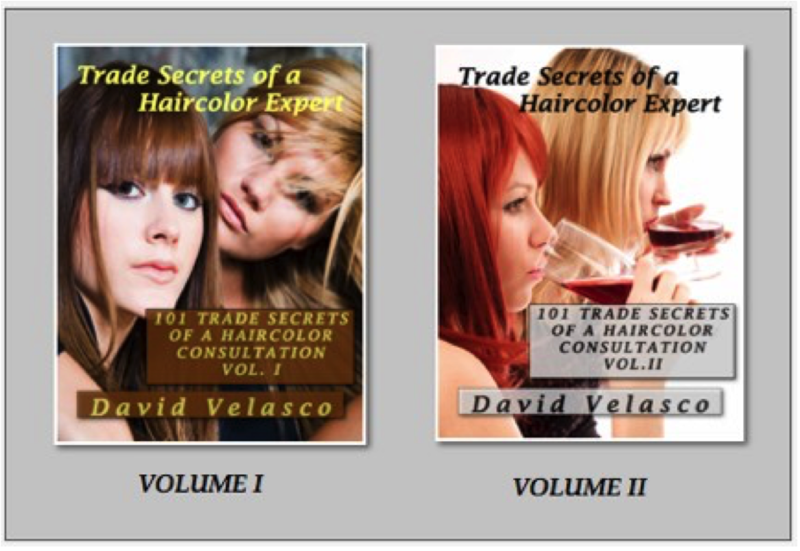 Now, if after reading the list of topics covered in this very concise two-volume set of books, you still think that a haircolor consultation is only to find out what a client wants to do with her hair, you should stop reading at this point. 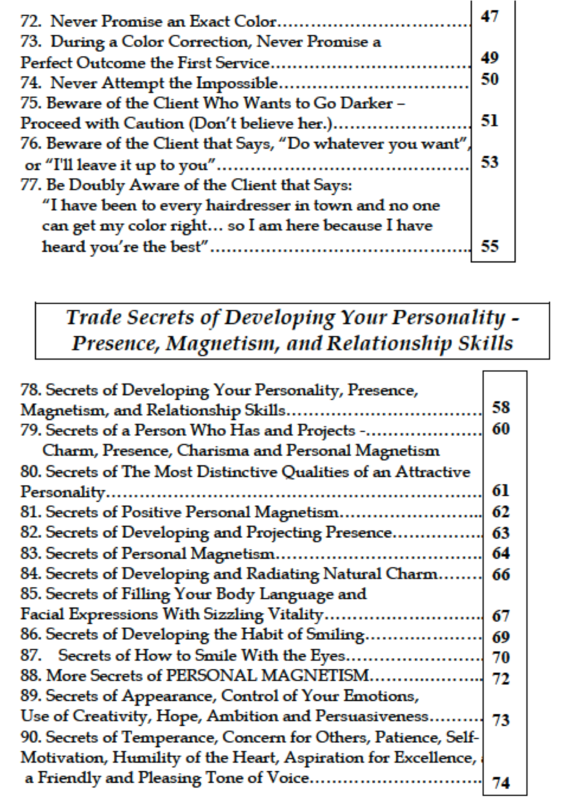 If, however, you have read the above list of 101 topics covered in this course and realize the power of understanding each one of these topics and how it can help you to develop, not only your communication skills, but also catapult you to one of the busiest hairdressers in your area, keep on reading. When it came to choosing a price for this two-volume book set, I was a little perplexed because there is virtually no other book or course ever written on this subject to my knowledge so I had nothing to which to compare it. But what I do know is that the information in these books has the power to take you to the top of your game, even if you’re still a little apprehensive about your haircoloring abilities. You see, I don’t really care how good a haircolorist or haircutter you may be, if you do not have good communication skills and a roadmap for success in this business, you will always be a struggling artist. However, I do realize that in these books you will not learn one haircoloring technique or one new haircolor formulation (if that’s what you are looking for check out the rest of my books) which is where our industry puts all of its value, but, instead, it will teach you the other side of the hairdressing business, the one that no one else to this point (and to my knowledge) has taken the time to share with you. The cost of this two-volume set is $89.00 Yes, for the cost of a half-head of foils you will be able to learn the consultation secrets that have taken me 40 years to master. Now, if this seems like a lot of money to you, please do not purchase this two-volume set of books. Because, quite simply, you do not understand the true value of what a thorough understanding of this information can do for your career. 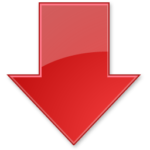 Of course, as with all of my educational products, I will offer you a 100% money back guarantee, if you purchase this program, read the information, and feel that you have not gotten your money’s worth. To my knowledge, I am the only person in the entire hairdressing industry that has ever offered a 100% money back, no questions asked guarantee on his educational products. Just go to any other website or beauty supply that sells educational products to hairdressers and read through all of their information and see if any one of them will offer you the kind of guarantee that I offer. 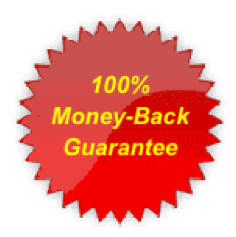 How can I be so confident in offering you a 100% money back guarantee on this two-volume consultation course? Because I know, for a fact, that if you read and study this information and apply the techniques and strategies within this program, you will reach your full potential as a successful hairdresser behind the chair. Are you ready to expand your knowledge of communication skills and utilize the techniques that, after much analyzing, I have discovered are necessary to become successful in the hairdressing industry? 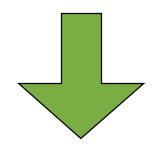 If so, click the “Buy Now” button below and the course will be delivered to your doorstep within three to four days. P.S. 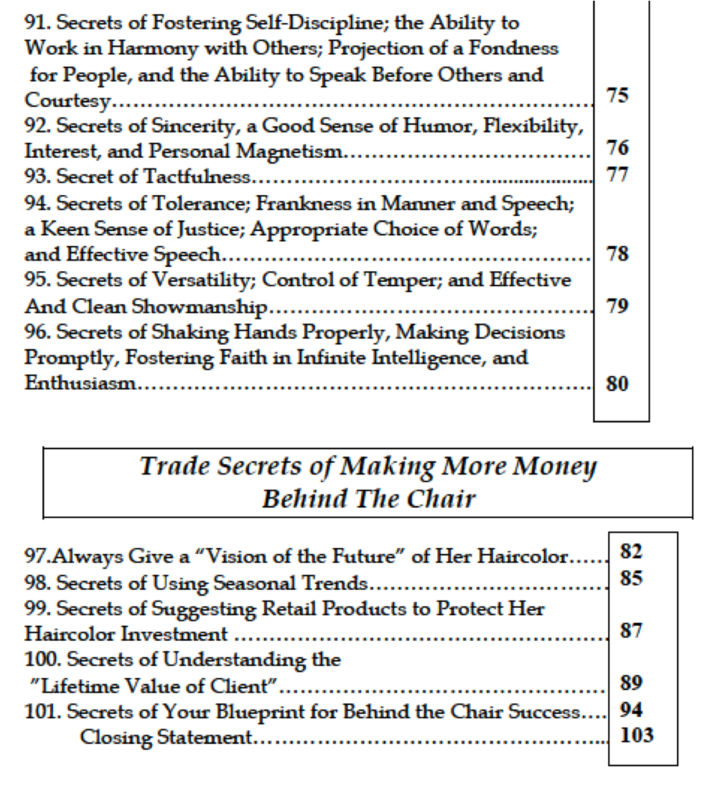 Remember that being technically skilled at applying and formulating hair color is extremely important, that is why I wrote Trade Secrets of a Haircolor Expert to begin with, but that’s only half of the equation for true success behind the chair. The other half of the equation has now been written and now it’s up to you to master it.